I am not nerd! WTF is T and Z? Update: T like tag cloud, Z like zuma. It took me less than 3 minutes. After all: nerd. 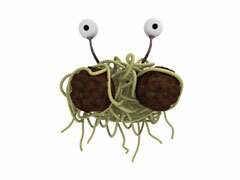 Combine the unfrozen meat ball with the uncooked noodles, bring water to boil, cook it until the noodles are edible. Put the peas into the noodles and then *play* when you are eating. They can fly! 3 meatballs per monster – not really identifiable as monster, but fun to eat. 2 meatballs per monster – closest to the original. one meatball per monster – most fun to play with. The meat balls should be larger though. I like the face recognition feature… but sometimes I wonder how it identifies faces. it is just funny to read. hope it will never become truth.